Nearly a year after a wildfire devastated Fort McMurray, many firefighters who worked to save the city are facing lingering health problems, according to preliminary findings of new research. The University of Alberta study surveyed 355 firefighters and found a "very large proportion" of them complained of respiratory issues including coughing, breathlessness, wheezing and chest tightness in the immediate aftermath of the fire. "When we saw them later, probably about one in five of those still had problems with their chests that they felt had been caused or made worse by the fire," said Nicola Cherry, the epidemiologist leading the study. And they're battling more than just physical ailments — mental-health issues affect one in six of study participants. "When we collected this information, it was early days and people may develop bigger issues as time goes forward," Cherry said. Cherry says these results are from the first phase of her research. She hopes all the firefighters involved in battling the wildfire last May — around 3,500 of them — will contact her to participate in the next phase of the study. The goal of the research is to determine which factors in fighting the fire lead to long-term health issues, and how this can be addressed for firefighters sent to major incidents in the future. "We can't stop the fire happening, but we can make sure that we learn all the lessons that we possibly can so that people in the future won't be put at risk in the same way," Cherry said. Study participants fill out a survey and give consent for researchers to access their medical records. Results could offer clues as to how fire chiefs can lessen the impact of events like major wildfires on their crews, Cherry said. That could be anything from modifying the lengths of shifts to changing the type of respiratory protection that's used. Jamie Coutts isn't surprised by the initial findings. 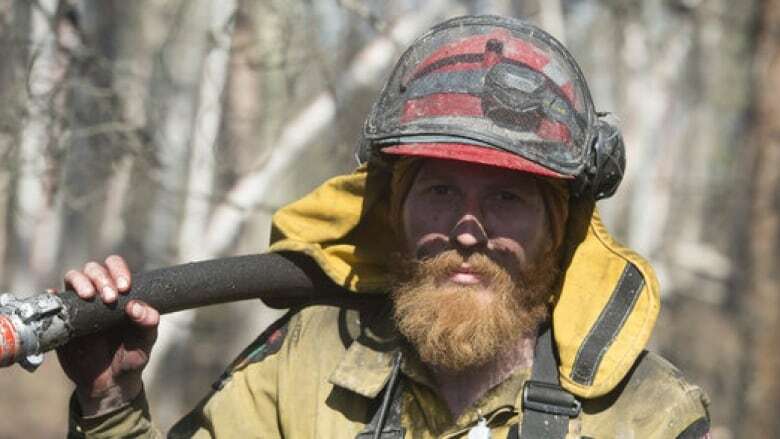 The Slave Lake, Alta., firefighter fought the blaze in 2011 that levelled a third of his town, and was also called to battle the Fort McMurray wildfire. "Being a firefighter is a tough job. And then when you take that and ramp it up to what happens when a forest fire hits a community, none of it surprises me," he said, adding he is surprised rates of reported health issues among firefighters weren't higher. Coutts said the Slave Lake fire hit his department hard — half the firefighters quit within the subsequent two years, and many reported ongoing respiratory issues. As the Fort McMurray firefighters prepare for a new wildfire season, he said many of them are still coming to terms with what they faced just under a year ago. Coutts said he's glad to see a study focused on how major events like wildfires affect the health of firefighters and other first responders. He said he personally worries about the possibility of getting cancer. "The long-term effects of being in and around 2,000 houses that burned down and 400 a few years before that, and all the stresses and things we've seen in between ...," Coutts said. "We go to call after call, and you do the best to protect yourself, but at the end of the day, you're basically trading a piece of your life away to help people."